In his first trip to the stupendous region, Christopher Columbus noted the silver-tipped appearance of the area’s prominent mountain. As “plata” is Spanish for “silver,” Columbus christened it “Monte de Plata,” and the city became known as Puerto de Plata. Since then it is referred to by its abbreviated name—and it continues to draw curious and adventurous visitors. 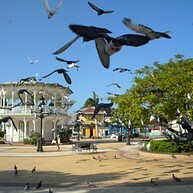 Luring vacationers much as it had Columbus, Puerto Plata is one of the Dominican Republic’s most renowned cities. 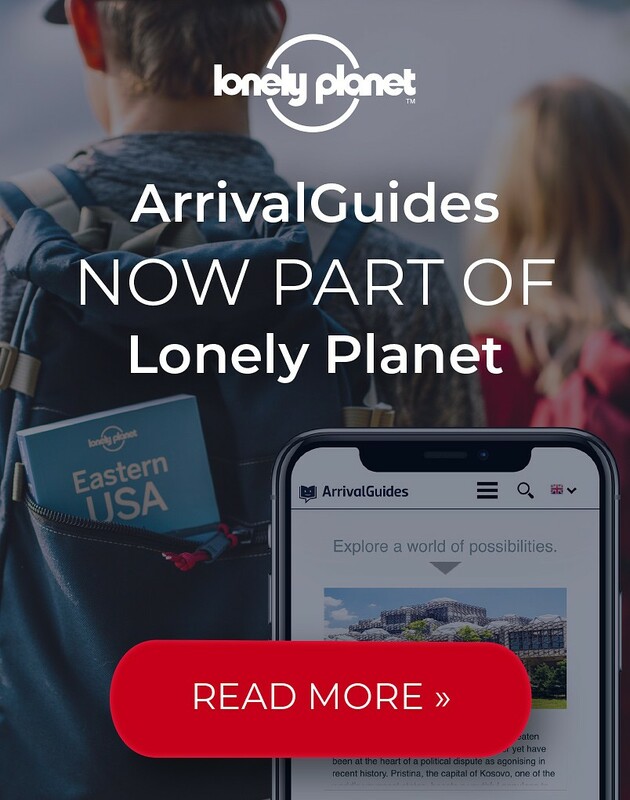 Lending to a bright culture of friendly people and recreational activities, Puerto Plata will exceed even your wildest and greatest of expectations. 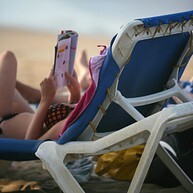 Unwind on the beautiful beach, or enjoy some adventure in the water or on the top of the mountain. There is enough to do in Puerto Plata to make a perfect vacation. 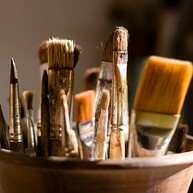 You will for sure find some activities to do that suit your taste. 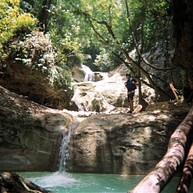 27 waterfalls is nestled in the rolling hills of the Northern Corridor mountain range and offers a real tropical adventure. These waterfall tours will excite even the adrenaline junkies out there. 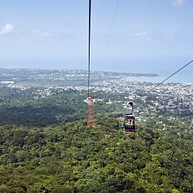 This cable car offers a great view over Puerto Plata. On the top of the hill, you will have access to a lovely botanical garden. If you like fishing, then you should go with High Z. 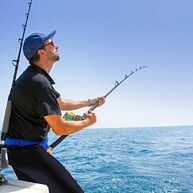 Very well known in Puerto Plata, the experienced captains and crew know the best places to catch the biggest fish! Sometimes, you can even see whales on your way. The fans of architecture will like this place: bronze sculptures. a cathedral and Colonial-styled coloured houses. The icing of the cake is with no doubt the central kiosk. There are many ways to explore Mount Isabel de Torres and plenty of reward for making it to the top! Check out the cable car if you’re not into hiking. For you natural science buffs or Jurassic Park lovers, see how amber is really formed! The museum possesses the very famous Amber that was seen in the box office hit "Jurassic Park." Find cultural and historical interest at Fort San Felipe. Just around the bend from great dining! 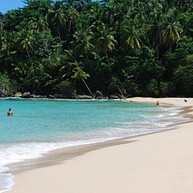 The dramatic Playa Grande is widely considered to be one of the top beaches in the world. Craggy cliffs, crystalline blue sea, and plenty of space makes the beach a must-stop. Cofresí Beach has a long stretch of golden sand that's perfect for swimming and surfing. Locals mainly use the public area on Sundays. Drop by here when you're strolling through the park. An art gallery has revolving exhibits that will help you understand how much talent there is in this country. You may even wish to buy from a budding artist. This Victorian building also has workshops for those talented in dance and music. 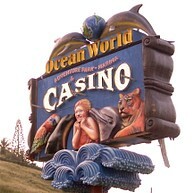 The multimillion-dollar Ocean World Adventure Park has marine and wildlife interactive programs. Take advantage of the dolphin and sea lion shows, encounters, a double-dolphin swim, a tropical reef aquarium, stingrays, shark tanks, a rain forest, and a Tiger Grotto inhabited by Bengal tigers. Playa Dorada is covered with soft sand, reefs for snorkeling, swimming, and more. This is also a good place for windsurfing, waterskiing, and fishing as well! For those seeking snorkeling, head an hour and a half away to Playa Grande. Here you'll find the Gri Gri lagoon, perfect for snorkeling. A colorful historical story of one shipwreck is the Concepción, too!